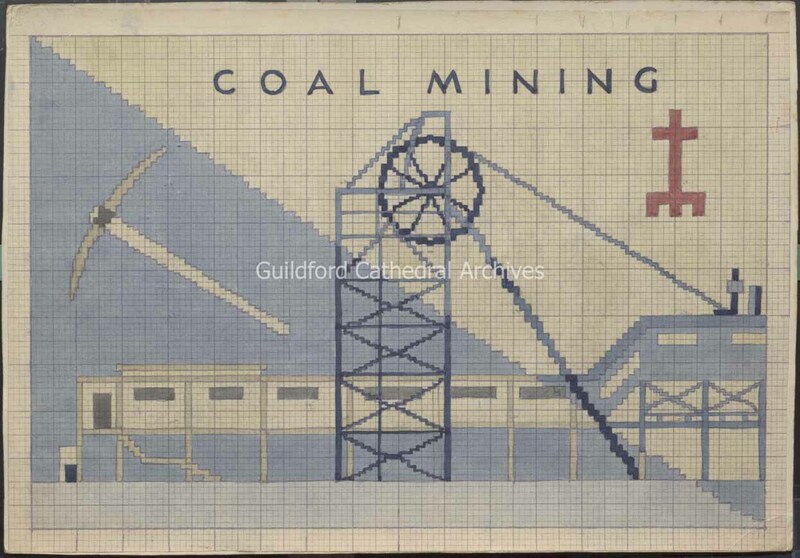 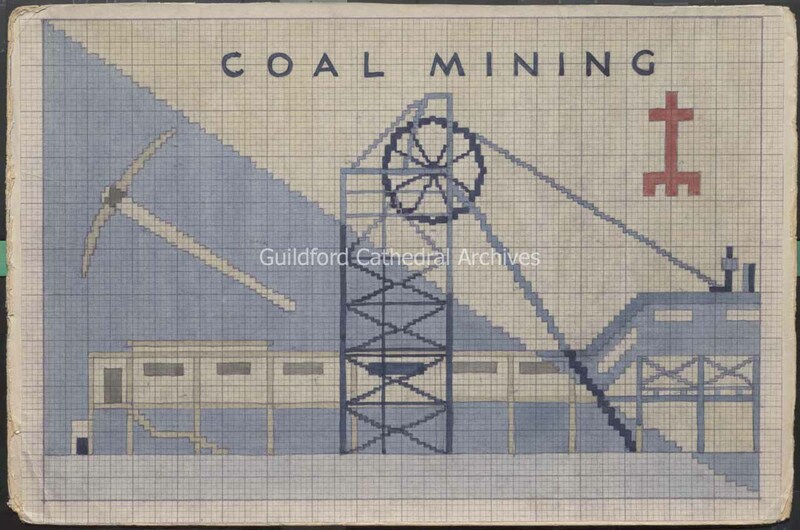 3 patterns for the Coal Mining Kneeler, all on card. 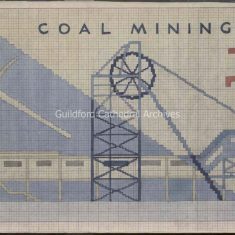 a) and b) are full colour watercolour designs on squared paper, c) is a biro pen outline design in black, red and green on large squared paper. 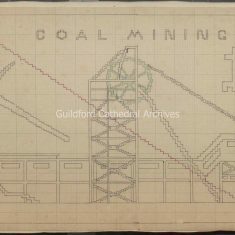 The design shows a mine head with headframe and winding gear. 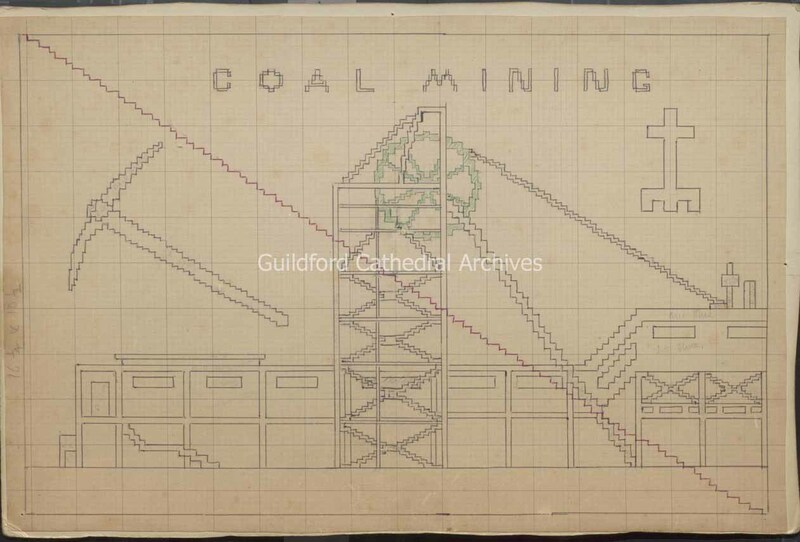 A pickaxe appears on the left of the design and a cathedral plan on the right. 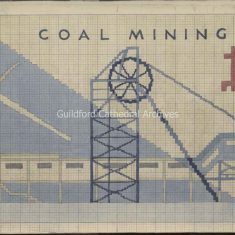 The words “Coal Mining” appear at the top.